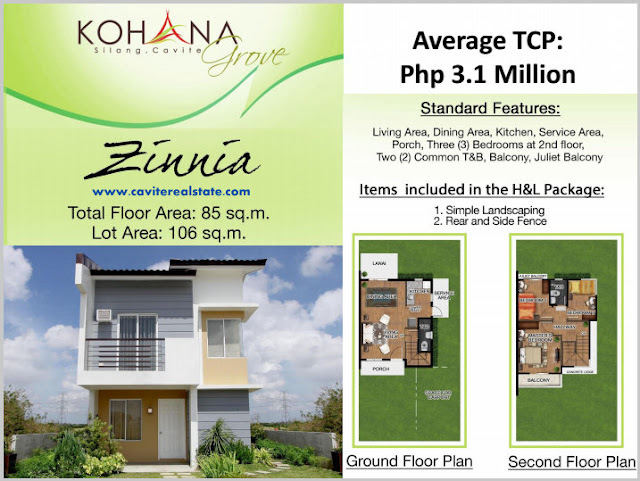 Kohana Grove as we features newest house model ZINNIA Single Attached. Located @ Brgy. Sabutan Silang Cavite boundary of Dasma-Silang with easy access to Tagaytay. Lot area 85sqm. 85sqm. 85sqm. Floor area 98sqm. 98sqm. 98sqm. It focuses on simple, clean lines and neutral hues. Our pegs showcase people caught in their "BIG MOMENTS IN LIFE". that life is beautiful and that you can. Kohana Grove is a middle income residential development. Bungalow, Loft-type and two-storey Single Attached houses.